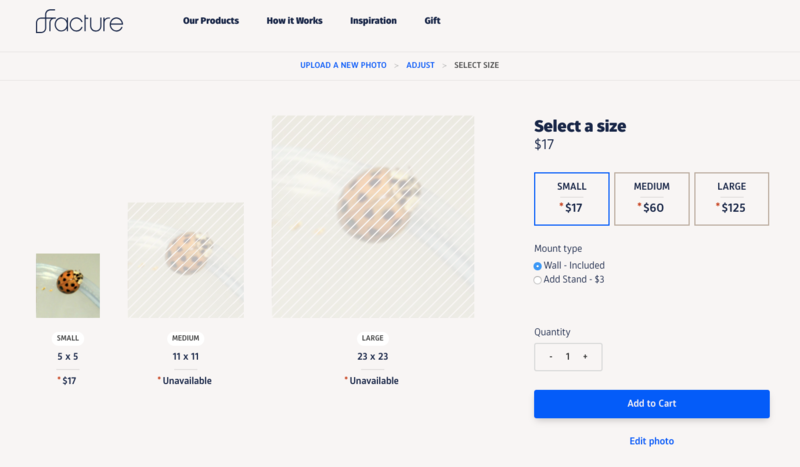 Uploading any files with specifications smaller than what we recommend will be at risk of turning out pixelated, blurry, and generally unimpressive. 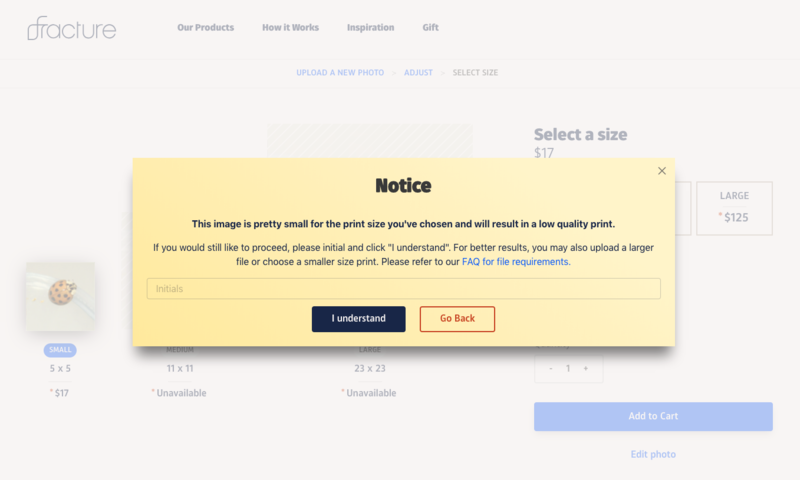 If you don’t have a higher-quality file, you do have the option to proceed with printing at that size by initialing next to the low-resolution warning that pops up. Just keep in mind, there will be some blurriness and pixelation present (you can zoom in on your photo on your computer to get an idea of how blurry it is up close). 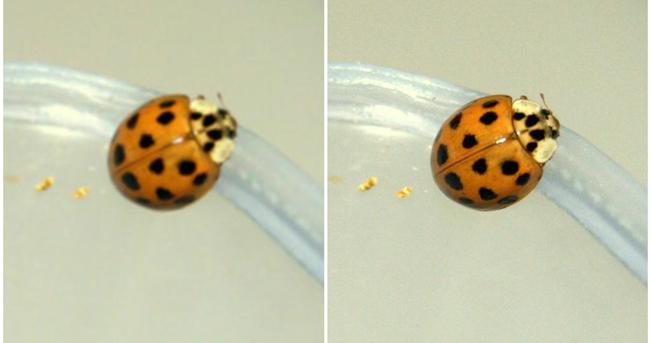 In the example below, the low-resolution file that was uploaded above is on the left. You can see that it's blurry and out of focus; that's because this file is only 15.7 KB in size, with 96 dpi. We'll need a much higher quality image file for a Fracture print! You can see that the image on the right is much clearer! Click here to learn about where to find a higher-quality version of your image file. Check out this guide for more info on how to choose the best photo to Fracture!